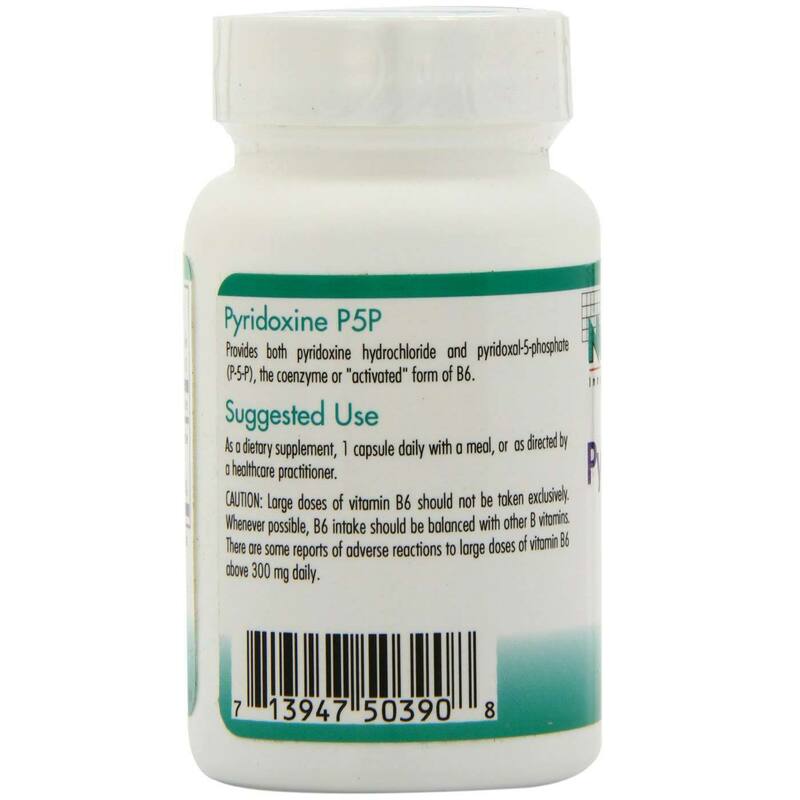 This formula is a combination of pyridoxine hydrochloride and pyridoxal-5-phosphate (P-5-P, the coenzyme or "activated" form of B6). 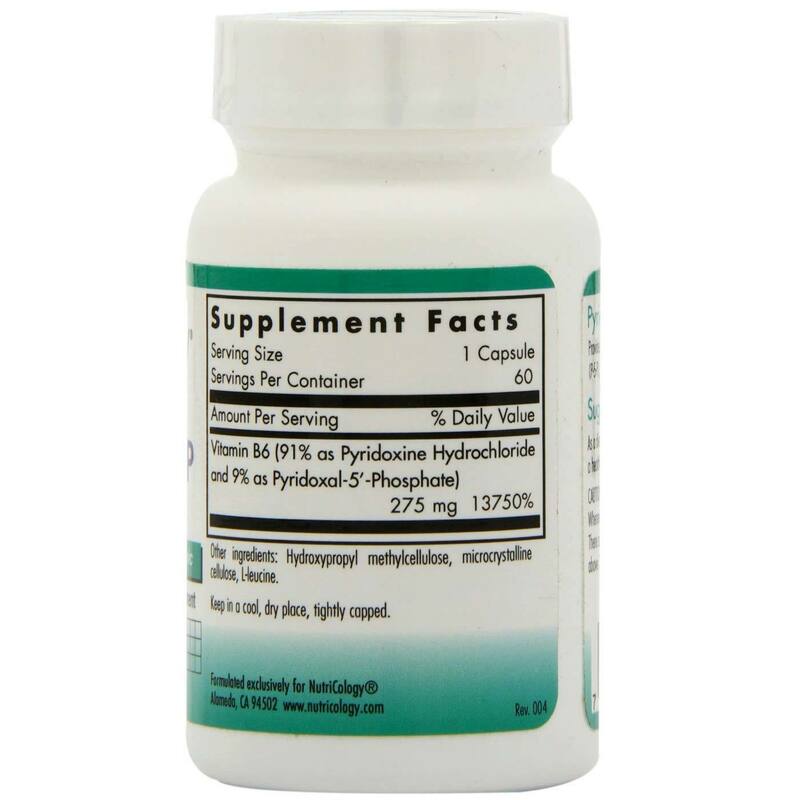 As P5P, vitamin B6 is extensively involved in the metabolism of amino acids, lipids and nucleic acids. 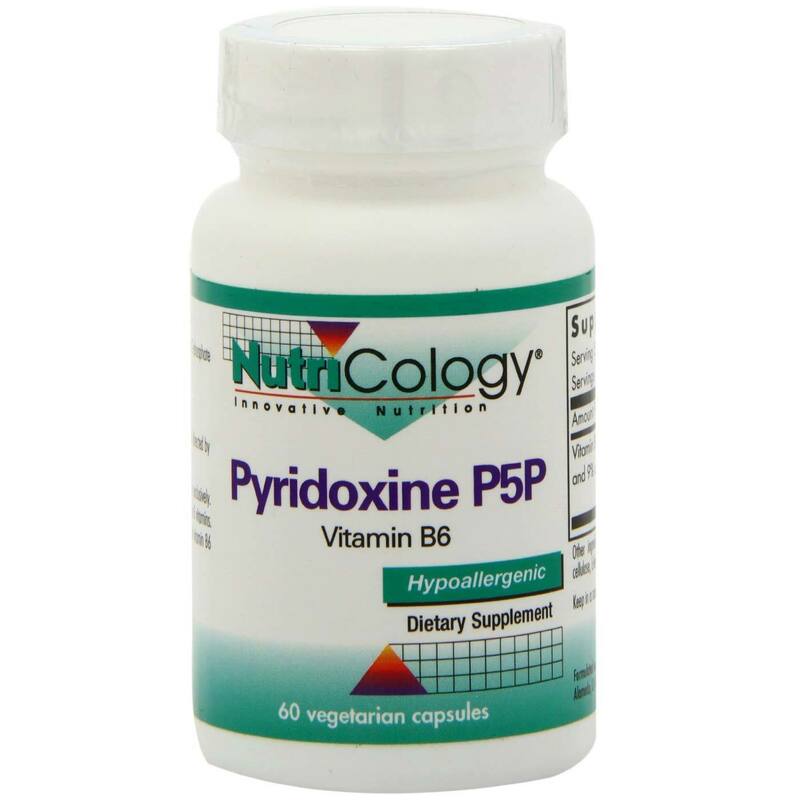 Supplementation with vitamin B6 as P5P can be helpful for those unable to produce it efficiently from pyridoxine in the liver. Excessive protein intake, alcohol or contraceptive use also indicates a greater need for vitamin B6. Vitamin B6 plays a crucial role in the multiplication of cells. 警告: Large doses of vitamin B6 should not be taken exclusively. 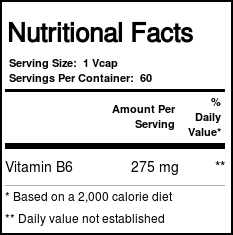 Wherever possible, B6 intake should be balanced with other B vitamins. There are some reports of adverse reactions to large doses of vitamin B6 above 300 mg daily. 推荐用法: As a dietary supplement, 1 capsule daily with a meal, or as directed by a healthcare practitioner.